One of the victims from the alleged road rage shooting in Oklahoma was a Guymon native. 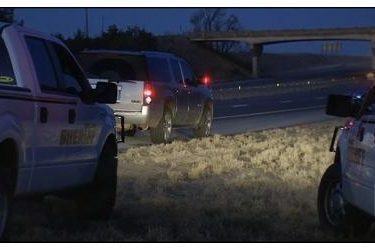 Jeffery “Kent” Powell, 45, of Arapaho, died after being shot along Interstate 40 during what authorities believe was a random act of road rage. According to the Oklahoma State Bureau of Investigation (OSBI), Powell was the first victim killed. He was shot near Hydro while driving westbound on I-40. His wife was uninjured in the passenger seat. Powell was a 1988 graduate of Guymon High School. He eventually became a Physical Therapist. At one time, he moved back to his hometown of Guymon to become the Director of Physical Therapy at Memorial Hospital of Texas County, according to Powell’s company website. Powell, along with his wife, Tamara, owned FirstCare Rehabilitation, Inc., of Clinton.